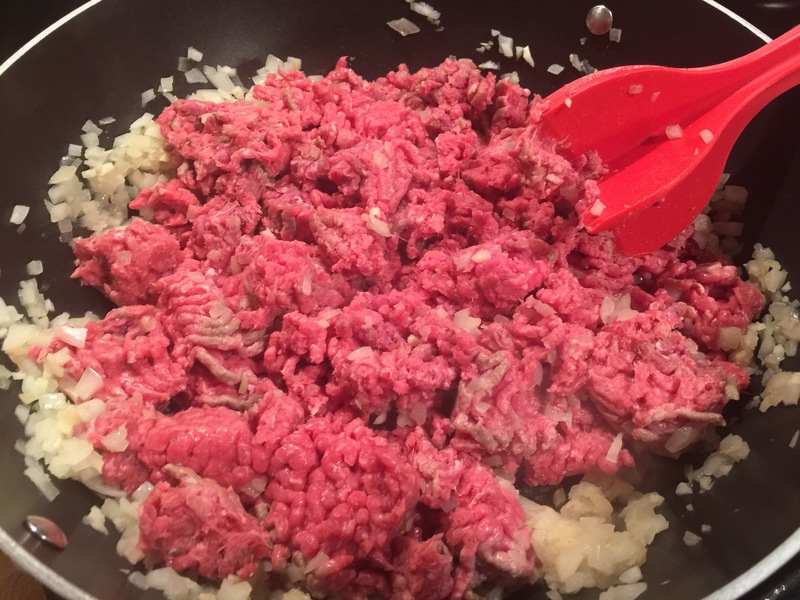 Add ground beef and cook until browned and no longer pink. 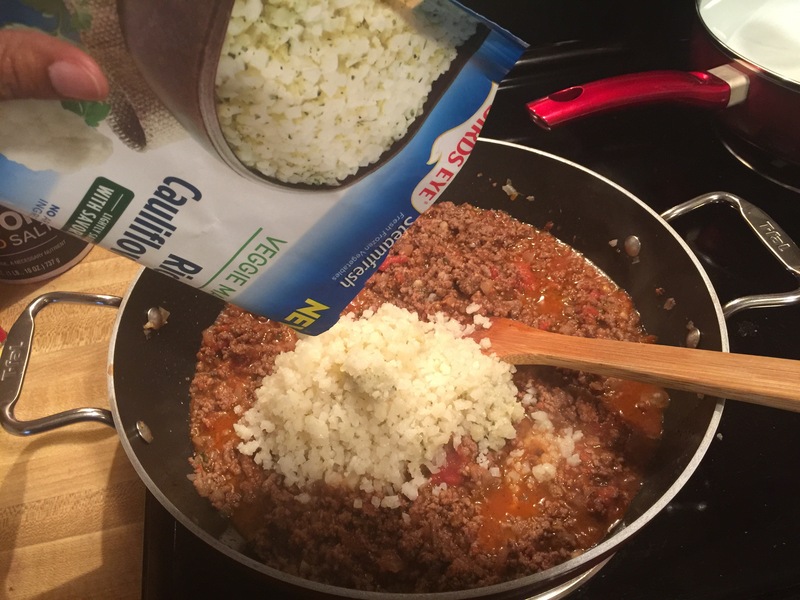 Add the riced cauliflower to the beef mixture and stir until coated. 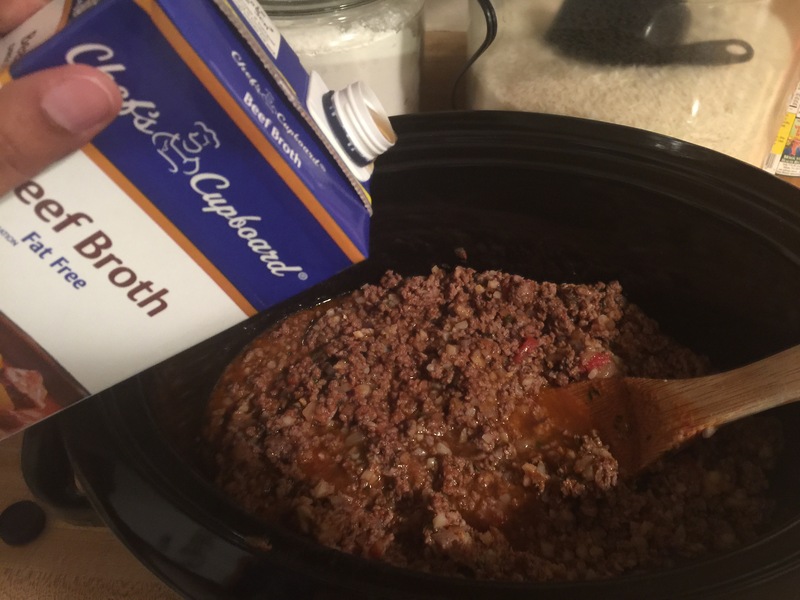 Pour the beef into the crock pot. 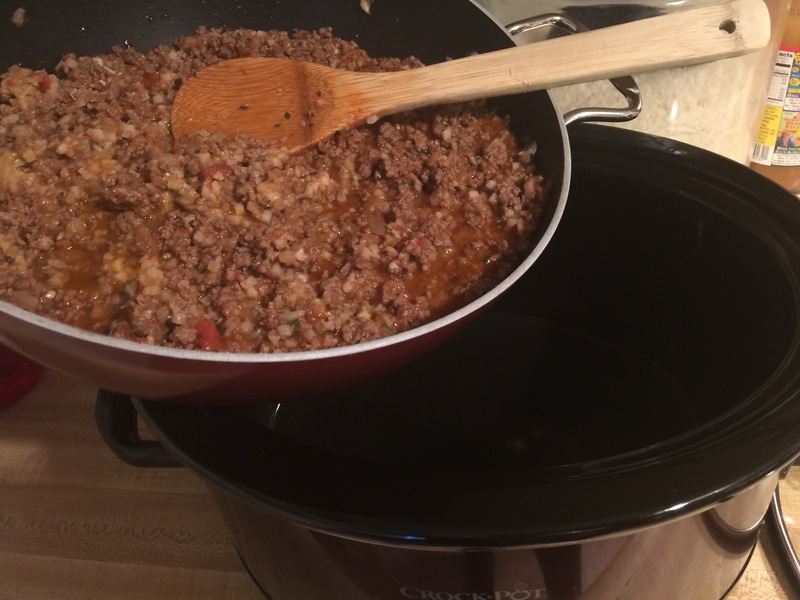 Cook on high 3 hours or low 6 hours. 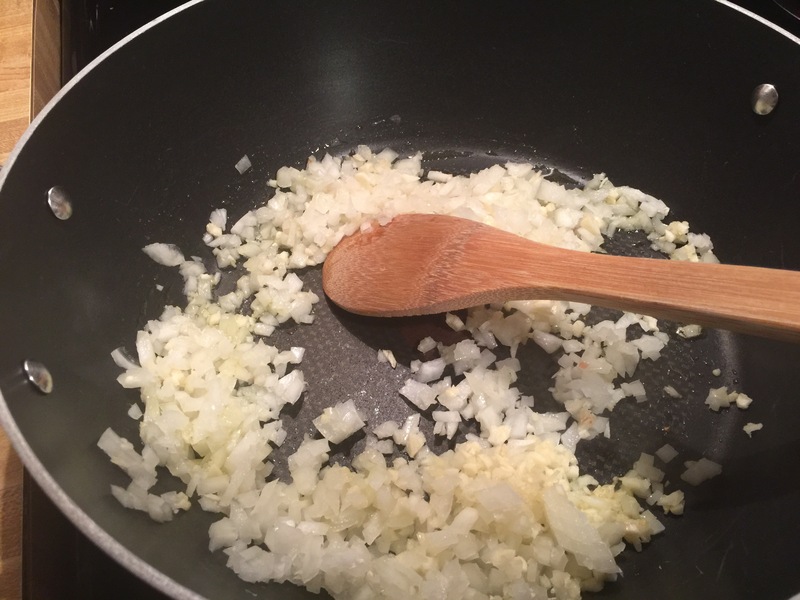 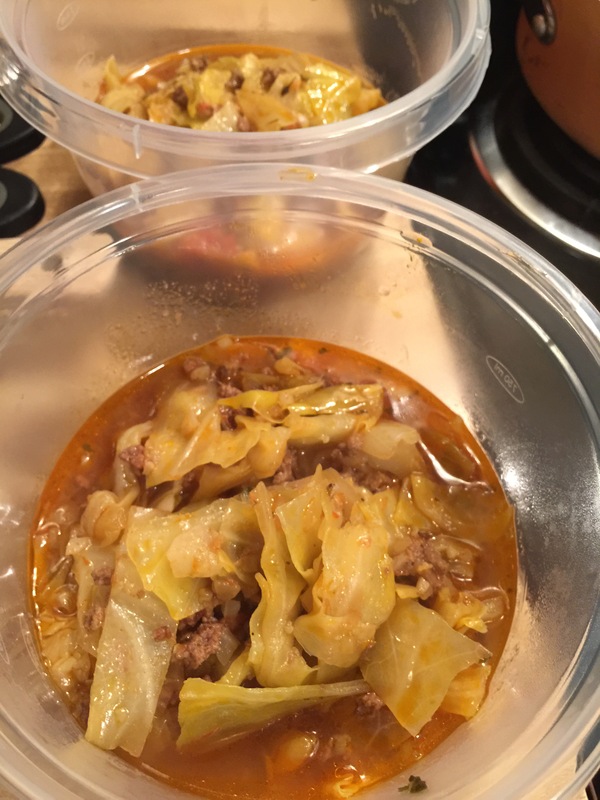 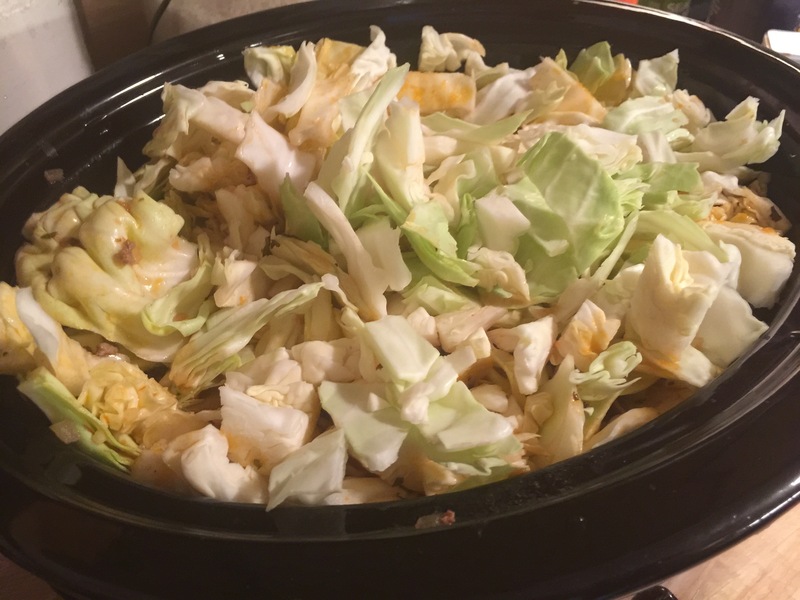 If you don’t have a crock pot, simply cook ground beef in a dutch oven or heavy soup pot, follow recipe and simmer on low, covered for about an hour until cabbage is tender. 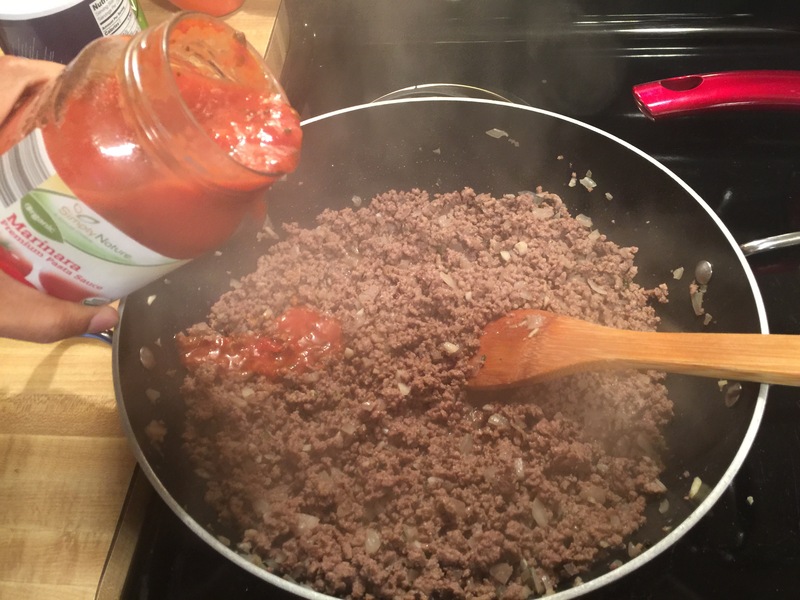 I made this as a meal prep for the week. 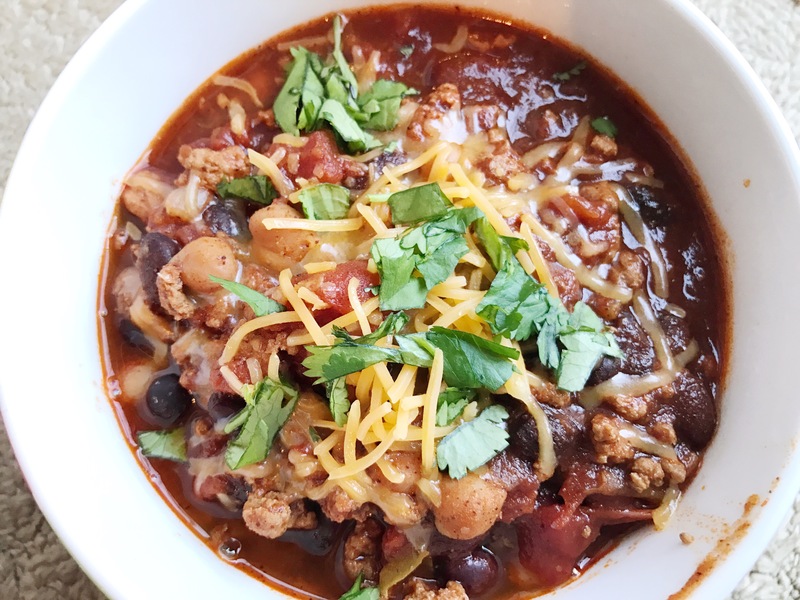 This recipe is 312 calories for 1 1/2 cups.